There are also other sensors, such as LVDT's, Force, Displacement available, with other types being added all the time. Please contact us if you need assistance with your requirement. Check out our Wireless Sensor range. A wide variety of Temperature and Humidity Sensors for connection to Data Logging and Data Acquisition products. Custom Temperature Probes (PT100/Thermocouple) can also be produced, please contact us for more information. A range of Air Flow, Air Quality Sensors, Carbon Monoxide (CO) Sensors and Carbon Dioxide (CO2) Sensors for monitoring internal Air Quality and levels of Gases. 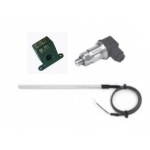 AC Current Sensors and Energy Metering products with various output options for connection to Data Acquisition Systems, Data Loggers, SCADA and BMS for example. A range of Sensors for monitoring Motion within Rooms and triggering outputs or alerting on Management Systems.